“People without jobs and jobs without people” was Australian chief executive Nicholas Wyman’s chosen topic for the 2015 Edge Foundation Annual Lecture, as he spoke about the challenge of the ‘skills gap’. Mr Wyman delivered his keynote speech to an audience at Glaziers Hall, in London Bridge, following an introduction from former Education Secretary and Edge Foundation chair Lord Kenneth Baker. His top three recommendations for tackling the skills gap began with on-the-job training from school age, followed by determining the skills gap in the labour market and linking it to skill areas in the curriculum. His top tip was to build in better collaboration between training providers and industry. As chief executive officer of the Australian Institute for Workplace Skills and Innovation, he gave a global perspective on the topic, covering education systems from Singapore to Canada, but said “there is no silver bullet, there is no one system that is going to solve this labour market mismatch”. In the context of an aging population, Mr Wyman said engaging young people and securing the labour pipeline is vital, and leaving the problem to governments to solve is not good enough. “I say it’s industry’s problem. I say it’s the educators’ problem. I say it’s a problem for communities and a problem for parents — everyone needs to be involved in the conversation,” he added. The event’s keynote speech was followed by a panel discussion, chaired by David Harbourne, acting chief executive officer of the Edge Foundation. 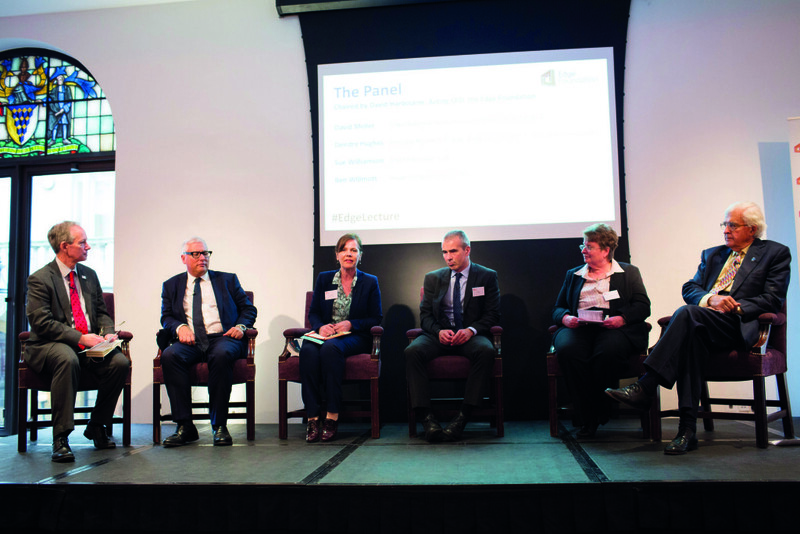 The debate covered a range of topics, including concerns that the government’s proposed large employers’ apprenticeship levy could fail to address challenges in FE. Panel member Ben Willmott, head of public policy at the CIPD, the independent body for HR and people development, said controls around the quality of apprenticeships were needed, as well as increasing the number to the government’s target of 3m by 2020. “The danger of the levy is unless there’s some controls around quality, it could just end up boosting the numbers and not necessarily increasing the quality,” he said. Mr Willmott’s comments came in response to a question raised by a representative from the Education and Training Foundation, who expressed concerns about funding struggles in the FE sector and an insufficient number of employers coming forward to provide opportunities for young people in vocational education. The event panel was completed by David Meller, chair of the National Apprenticeship Ambassadors Network; Deirdre Hughes, principal research fellow, Warwick Institute for Employment Research; and Sue Williamson chief executive SSAT. They were asked whether they thought the levy would be able to tackle such problems. Mr Willmott said ensuring “businesses and providers are really working collaboratively together” would be key. He cited an example from the CIPD’s consultation response on the apprenticeship levy, in which one employer in the food sector said it would not have its two higher level apprenticeships if the local university had not broached the subject. Dr Hughes, former chair of the National Careers Council, focused on the need to address the UK’s “untapped talent”. She said young people who have dropped out of AS or A-level must be engaged in order to help meet apprenticeship targets. “If you have a look at the number of young people that drop out of AS or A-level … that number is significant,” she said. Mr Meller said he was confident government plans for apprenticeships were on track. “I think they will get us to the number of 3m,” he said. “Our trajectory at the moment is on target to get five/six hundred thousand this year. We are very conscious of working for high quality, we don’t just want a number,” he said, adding that “more and more companies are being signed up every day”. An expert piece by Dr Hughes on the issues raised in the lecture can be read here.